Apple's relationship with Taiwan Semiconductor Manufacturing Company continues to grow, as the chipmaker has been tapped to produce power management integrated circuits for future iPhones and iPads. TSMC already provides iPhone and iPad chips through foundry services for Broadcom, CSR, Cirrus Logic and Qualcomm. Now, it has also secured orders from Dialog Semiconductor to build power management chips for Apple's next-generation portable devices, according to DigiTimes. TSMC and Dialog recently announced a cooperative venture to build the next generation of bipolar-CMOS-DMOS (BCD) technology. It will be featured in Dialog's future power management integrated circuits, which are expected to be available by the end of the year, just in time for Apple's anticipated next-generation iPhone. The growing role of TSMC comes as the company is believed to be in the running to produce future "A6" and "A7" ARM-based processors for Apple's next-generation iOS devices. Last September it was said that TSMC signed a foundry agreement to build chips based on its 28-nanometer and 20-nanometer process technologies. The Taiwanese company was said to have begun trial production of some Apple mobile chips last July, but it is believed that Apple's primary chip supplier remains one of its fiercest rivals: Samsung. 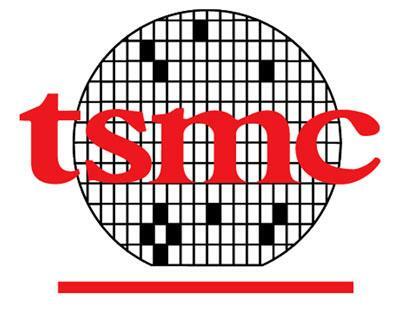 Rumors have suggested that Apple has looked to forge a closer alliance with TSMC to move away from Samsung. Though Apple and Samsung compete in the smartphone, tablet and PC markets, and are engaged in a series of lawsuits accusing each other of patent infringement, Samsung remains one of Apple's primary suppliers for ARM CPUs, flash memory and LCD displays. The newfound partnership between TSMC and Dialog could result in more advanced power management chips in Apple's sixth-generation iPhone. The next iPhone is largely expected to arrive this fall, about a year after the launch of the iPhone 4S.